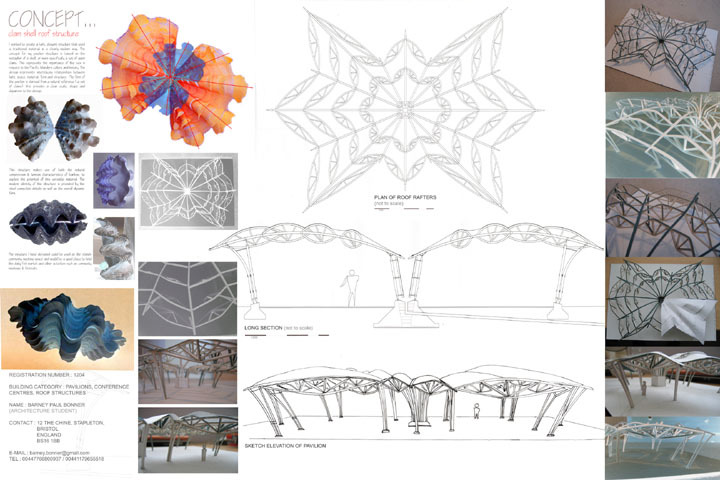 The design for this pavilion roof is based on the natural forms of the shell of the giant clam. 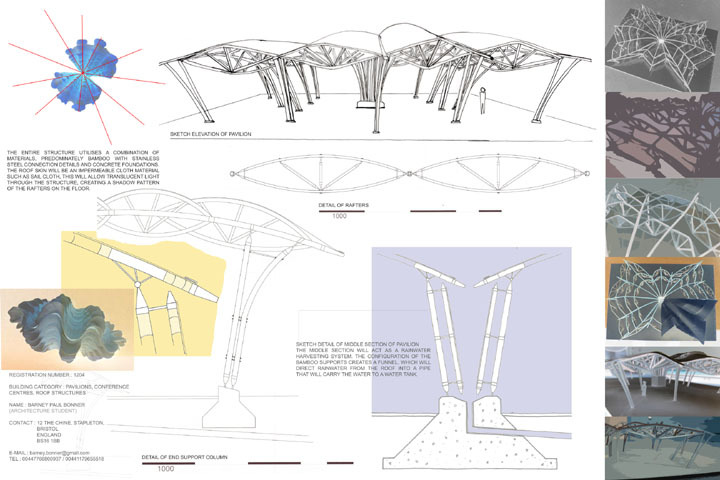 The entire structure utilizes bamboo poles, steel connectors, and concrete foundations. The roof membrane will be sail cloth, allowing translucent light to shine through and create a shadow pattern of the rafters on the floor.